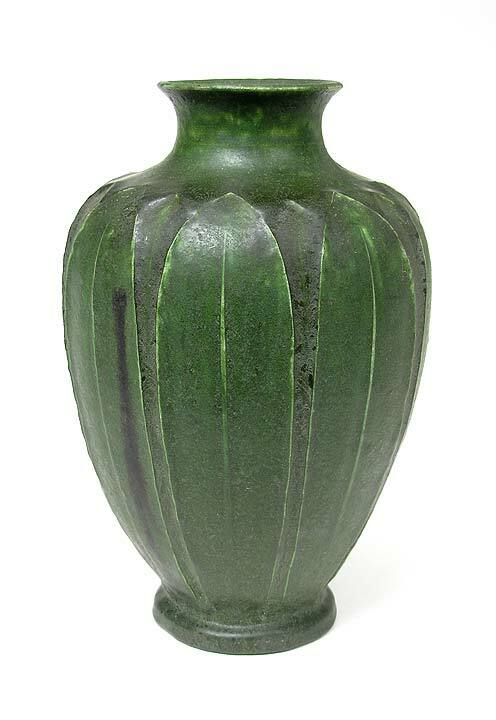 Rich, deep green glaze on this bulbous carved vase. Very fine example. 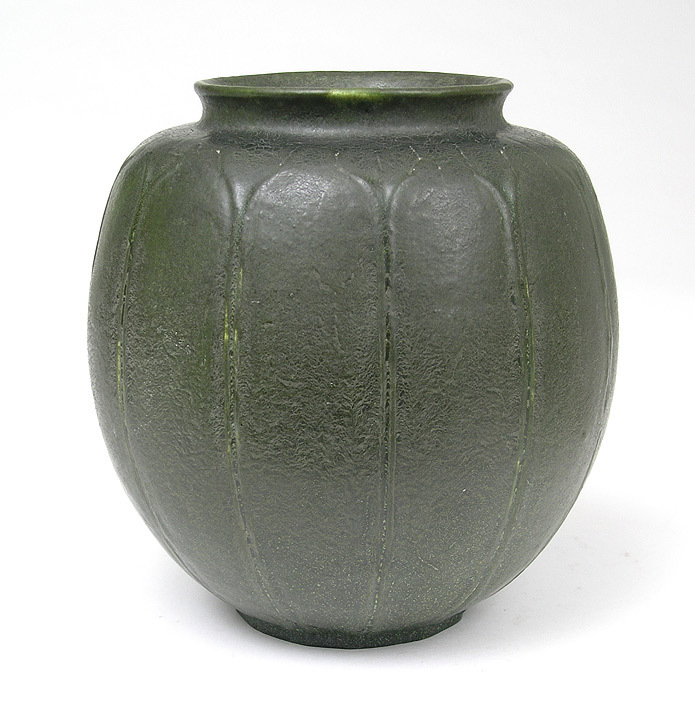 7¼" tall x 6¾" diameter. Signed. Mint condition. 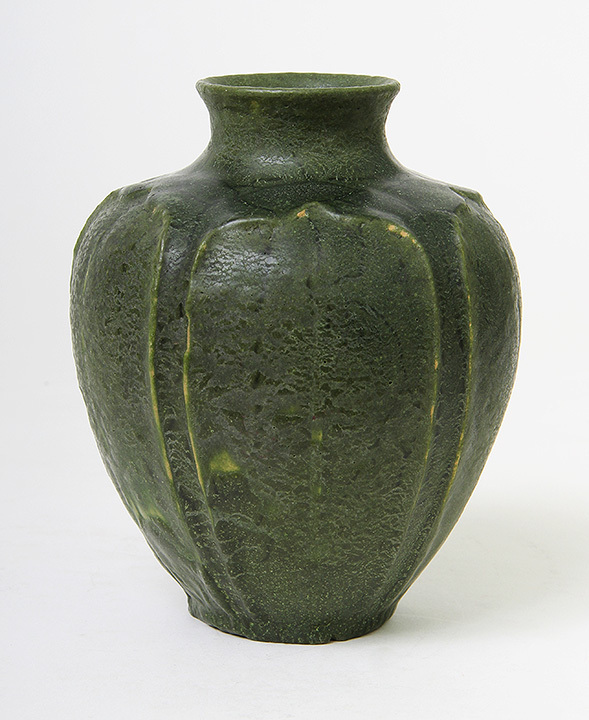 Great glaze and beautifully carved leaves. 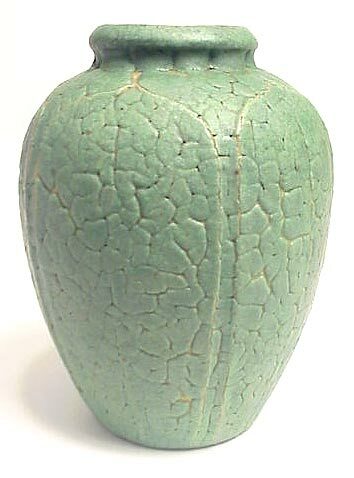 Excellent original condition except for a few minor glaze chips on the edges of some of the leaves. 5¼" tall. Signed. 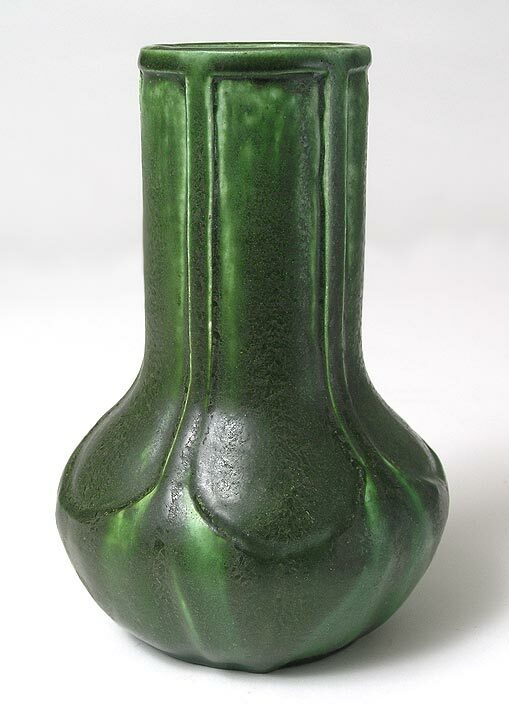 Nicely carved leaves on this classical green Greuby vase. 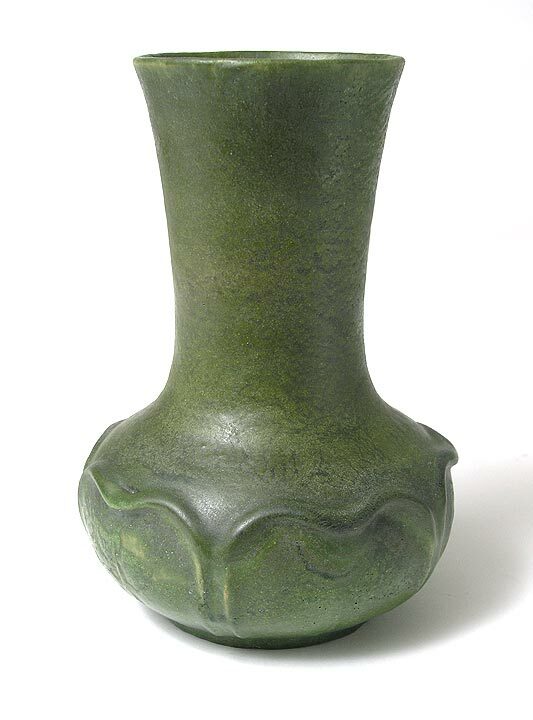 6¼" tall. Signed. Mint condition. 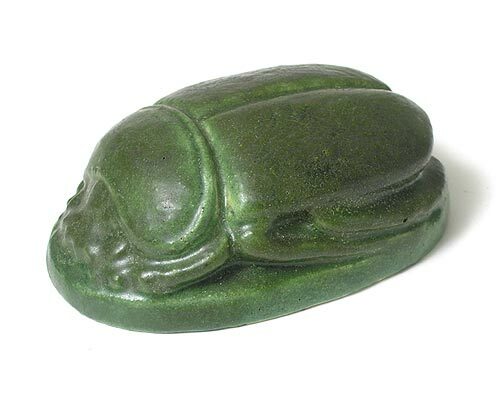 Scarab paperweight with exceptional glaze. Signed. Mint condition. 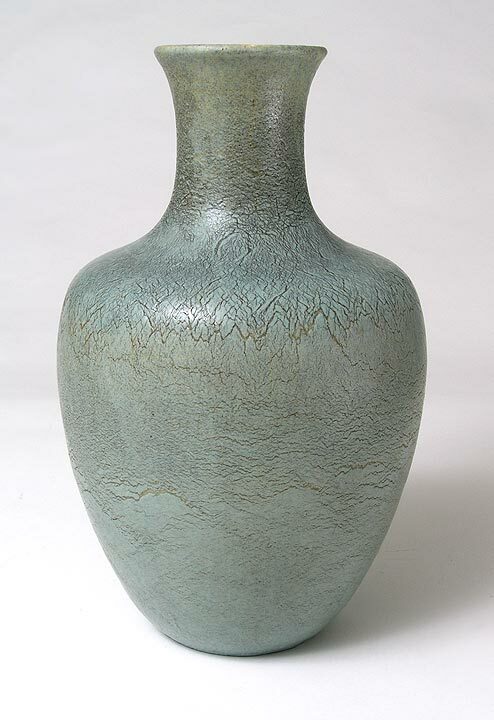 Big bulbous vase with the best glaze, not the usual green but lighter with a hint of blue. 13". Signed. Mint condition. One of the nicest examples of Grueby that I've had in quite some time. 8½" tall. Signed. 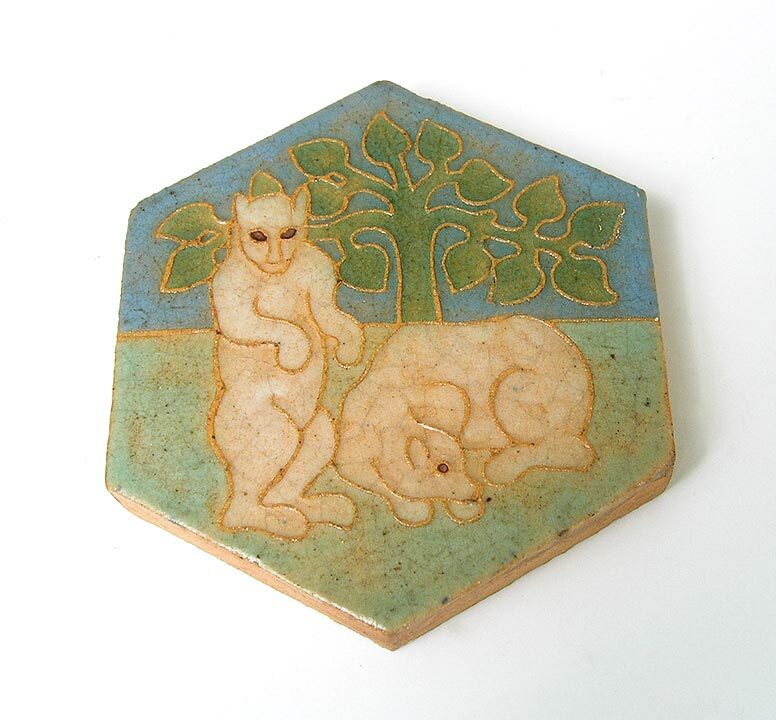 Mint original condition.